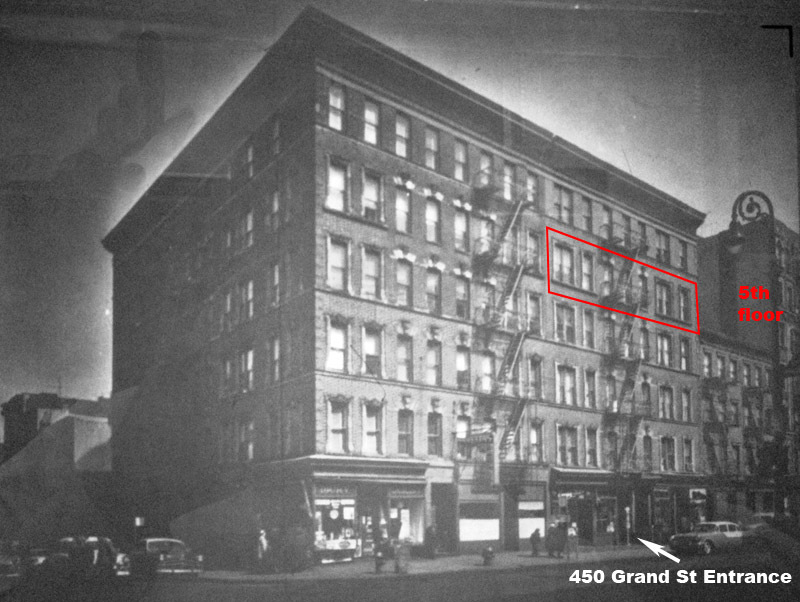 After living together at John Cale's 56 Ludlow Street apartment throughout early 1965, Reed and Cale now moved to 450 Grand Street in the winter of 1965 where they were joined by Sterling Morrison. 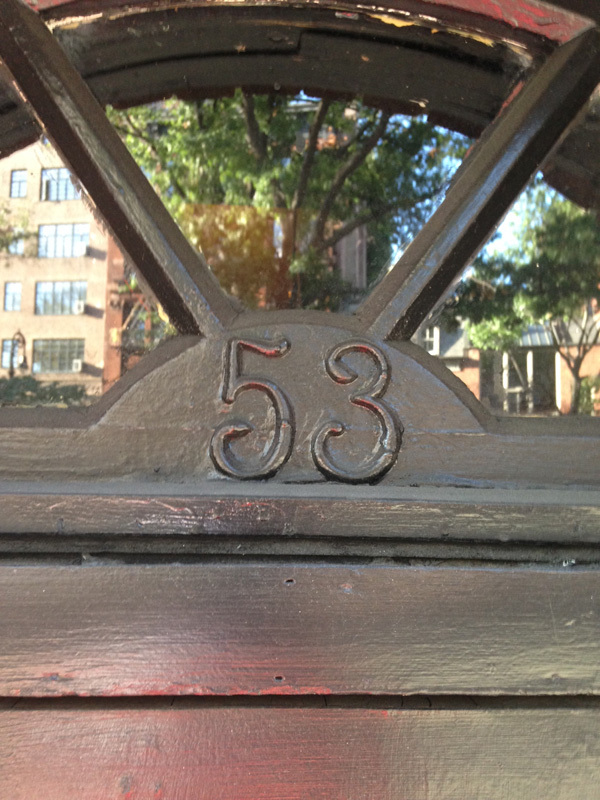 Their unheated, walk up apartment was on the 5th floor, number 5E. 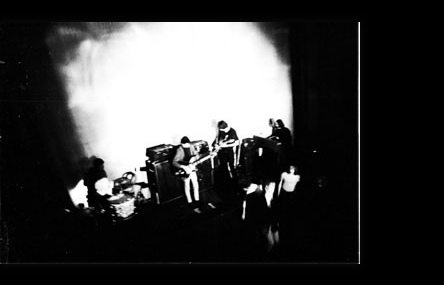 The band lived above experimental "underground" filmmaker Piero Heliczer (apartment 4E) a friend who had been introduced to them by Angus MacLise who went to high school with Heliczer and who sometimes played bongos and hand drums with the early Velvets in practice sessions. 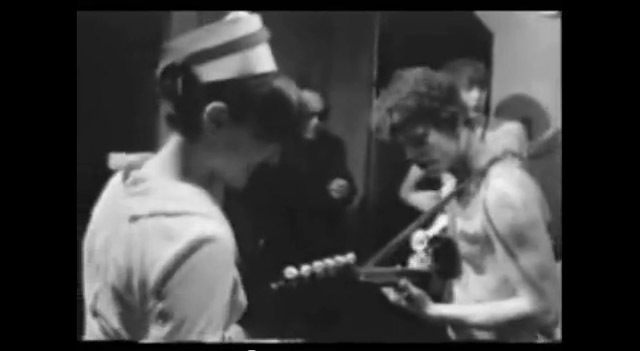 He was replaced by Maureen "Moe" Tucker, the younger sister of one of Sterling's college friends. 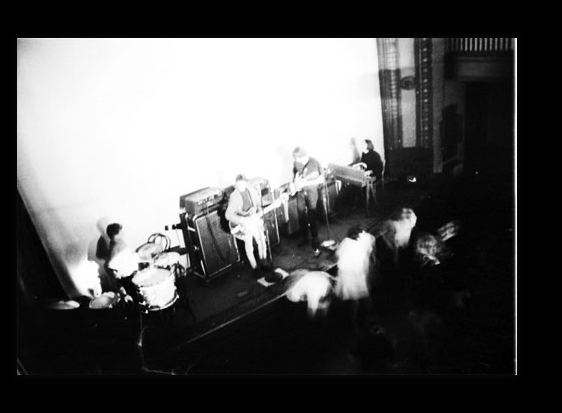 Heliczer conducted multimedia happenings at the Cinematheque in the basement of the Colonnade building on Lafayette Street at 8th Street. 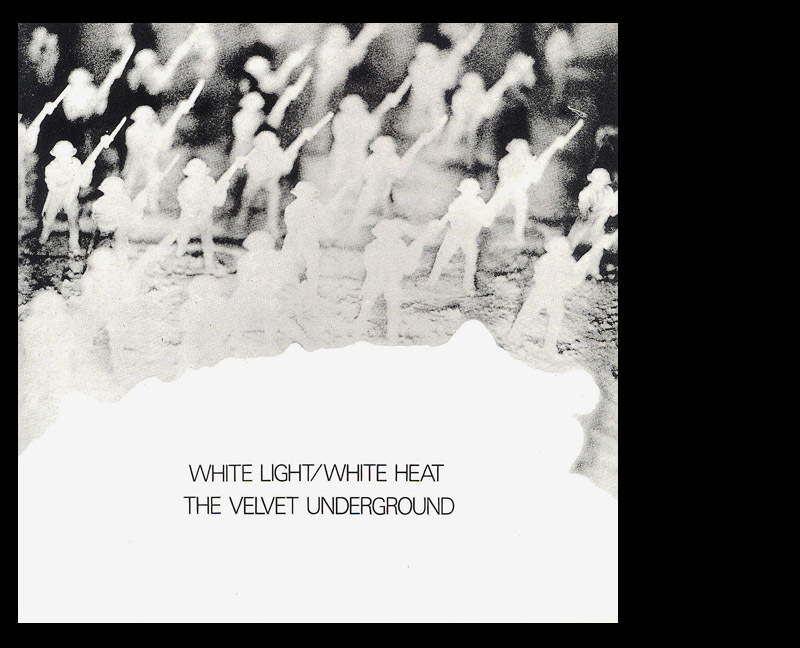 White Light/White Heat by The Velvet Underground (1968) - U.K. edition cover; photography and art direction by Hamish Grimes. 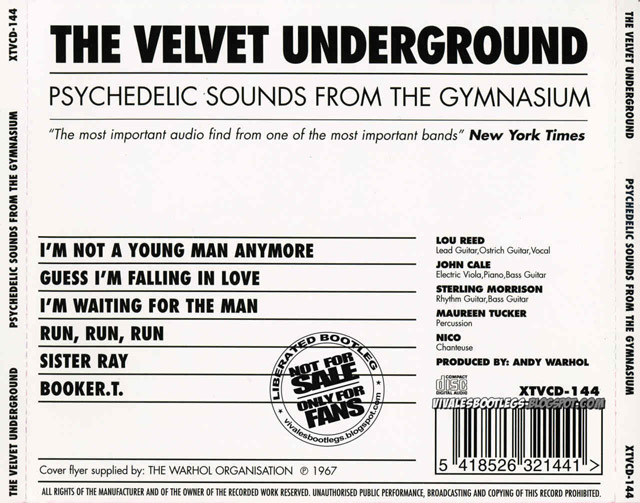 I enjoyed your page on the Velvet Underground album cover. The UK version has a different cover (see above) and Hamish told me he shot it on his kitchen table using ordinary flour, an angle-poise lamp with a photoflood and his children's box of toy soldiers. The image looks as if it has other manipulation which Hamish would have done. I don't know where he lived at the time, I think it was a place in London called Sheen*. He regularly borrowed our front room as an art studio (my mother is an artist) and pasted up a number of later album covers there but not this one. I bought a re-issue and he pointed out to me his credit. We lived close to Black Lion records and Island Records and so Hamish found it convenient and was always welcome in our house and to work there. He was a dear friend. 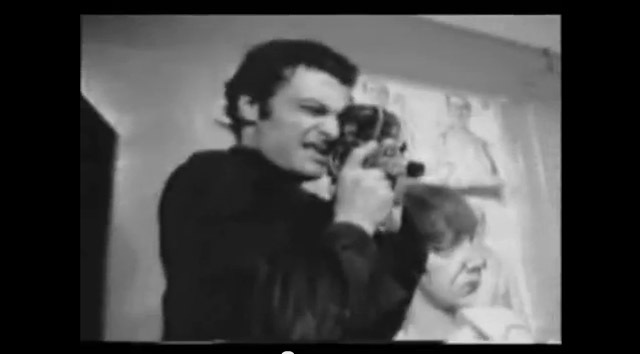 Photo of the photographer, Harnish Grimes. Harnish Grimes is also known for designing the Yardbird's logo. 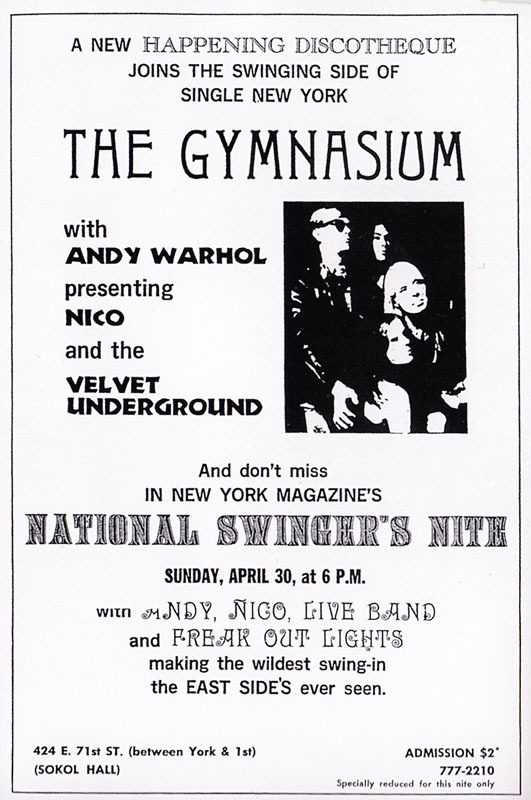 The Gymnasium (aka Sokol Hall) 420 East 71st Street, New York (Upper East Side) - a rented hall; site of EPI (Exploding Plastic Inevitable) "happenings" with the Velvet Underground performing throughout April, 1967. (April:7-8; 14-16; 21-23; 28-30) (dates to be fact checked). 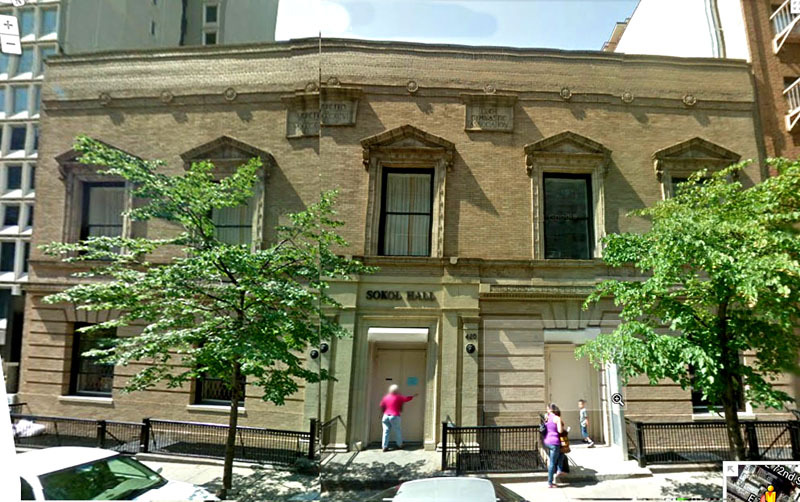 The building at 420-424 East 71st Street was built in 1896 by a Czechoslovakian Social society as a gymnasium for Czech immigrants in the neighborhood. The Gymnasium...night, as it might have looked for VU fans in the 60's. 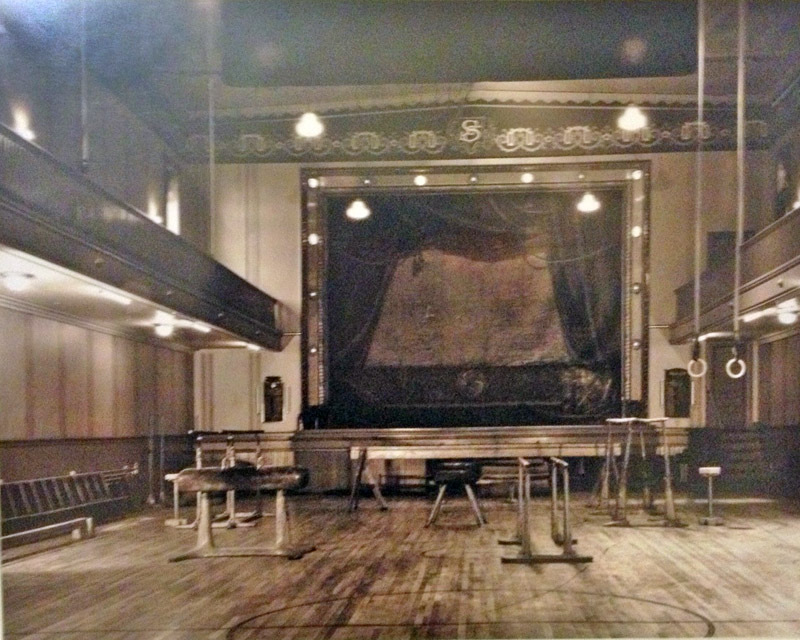 The Gymnasium...in a photograph from the 1940's. The Gymnasium...the bar on the ground floor. The Gymnasium...The gym itself, with the stage at the far end. The Gymnasium...the stage from above left. 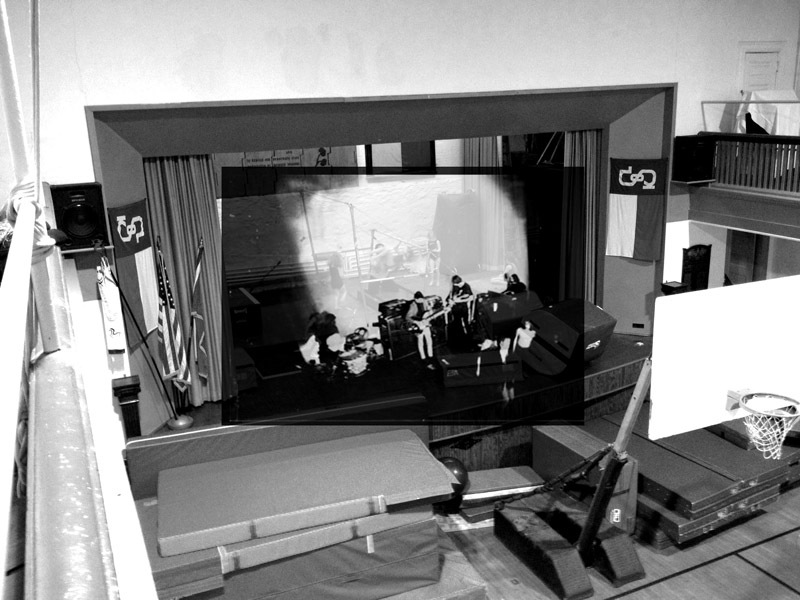 The Gymnasium...superimposed over the present day gym. 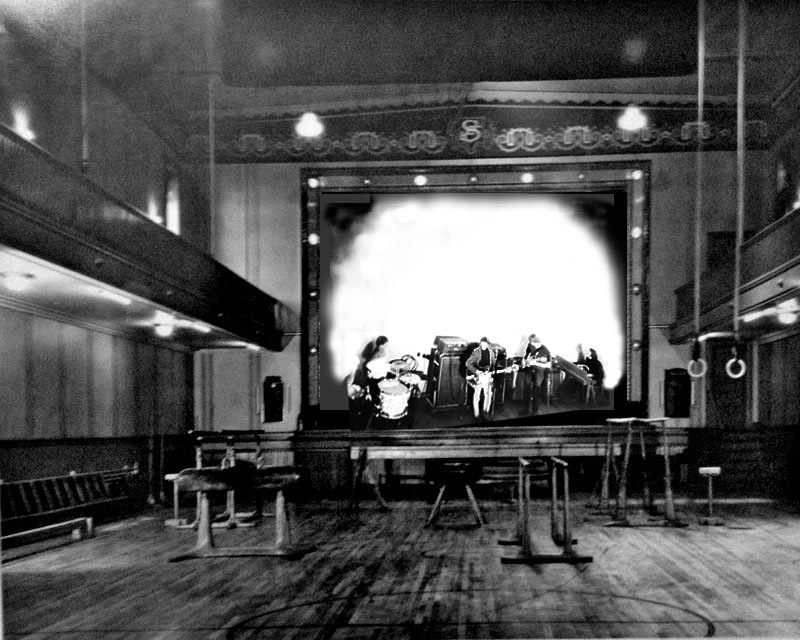 The Gymnasium...another view of the stage, from a 1940's photo. 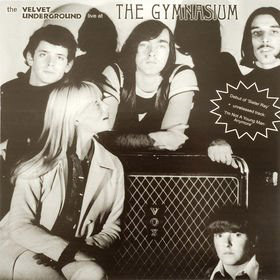 The Gymnasium...another shot of the VU/EPI from Billy Name. The Gymnasium...and that shot PopSpotted into the old 1940's shot. 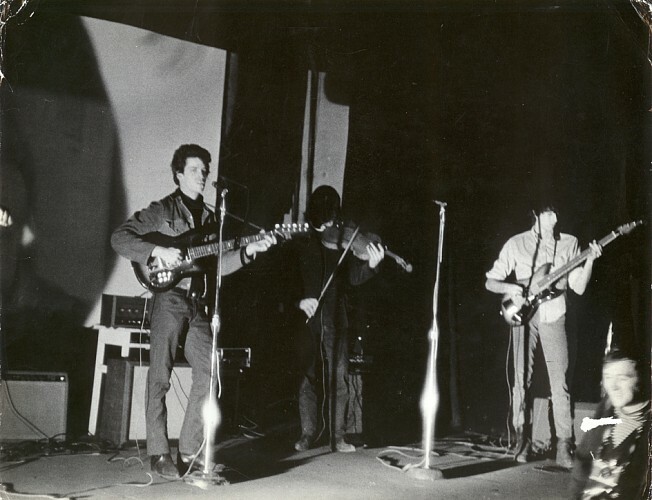 After Lou graduated from Syracuse College around May of 1964, he took a job as a $25-dollar-a-week songwriter and musician for a low-budget record company called Pickwick Records in Long Island City, New York. 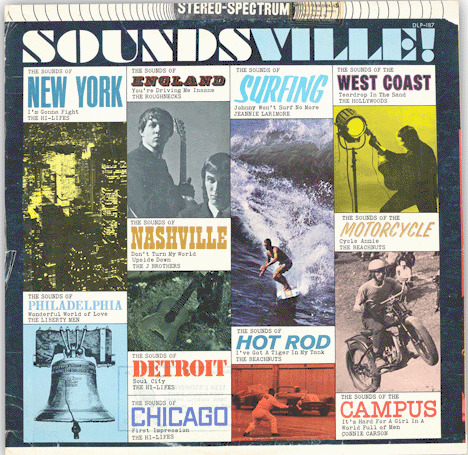 He worked there from roughly September of 1964 to February of 1965, sitting with others in sparce rooms, creating quickie songs about girls, cars, and California and other teen crazes. Lou would later say that he learned to work fast in a studio from his time at Pickwick. 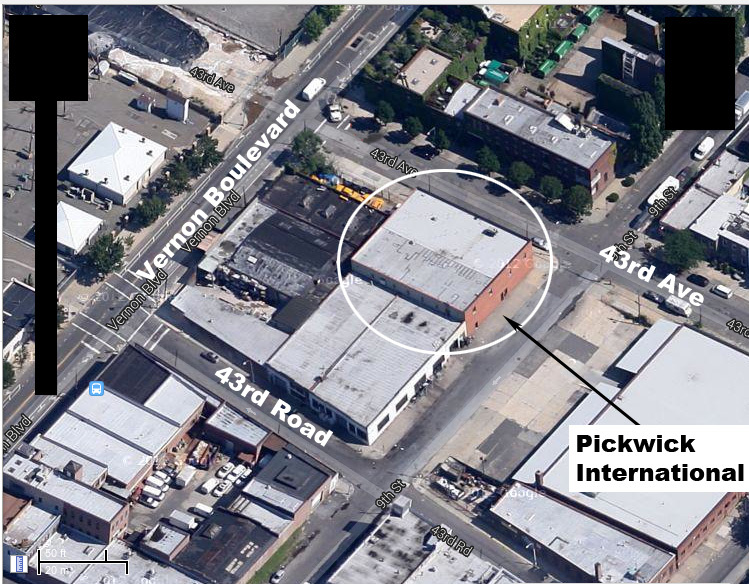 Pickwick was located in the borough of Queens across the river from Manhattan, and a 45-minute commute from his home in Freeport, which was further out on Long Island. This is a 45-rpm (rotations per minute) of one of the songs he worked on (more on this later). These are the type of albums Pickwick put out. They look like top-40 songs but they are imitations and sold for around a dollar. The album was sold in the bargain bins of music and department stores - something you might buy for your kids while shopping for clothing. On this particular album Lou is said to have co-written and played and/or sang on most of the songs. 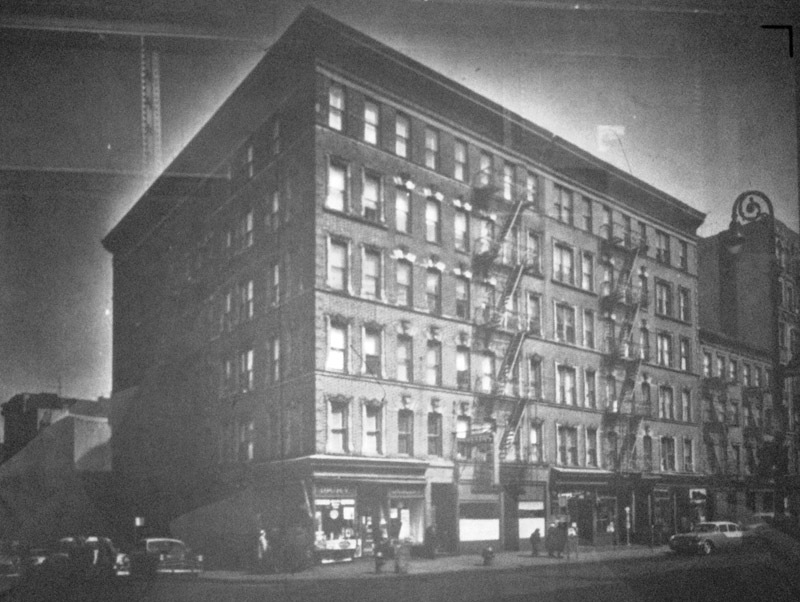 This is a photo from the New York City Municipal Archives of the building before Pickwick rented it. It looked like this during Lou's time there. 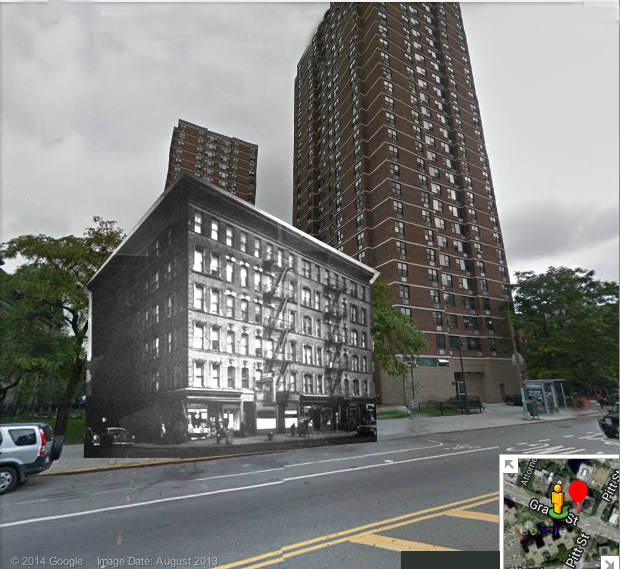 Subsequently, the building was torn down and replaced by a similar- sized red brick building. 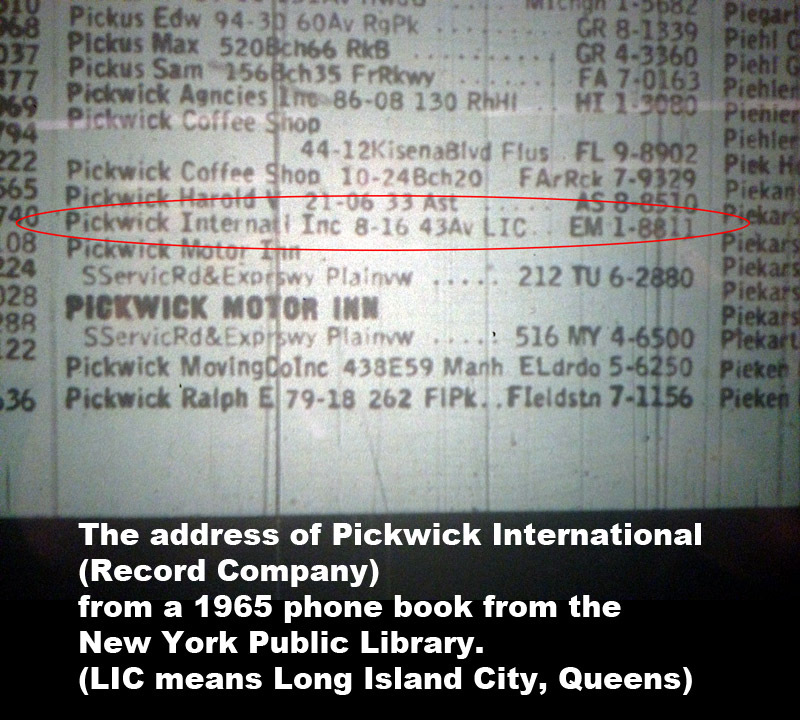 I found the address of Pickwick from a 1965 Queens phone book on micro-film in the New York Public Library. 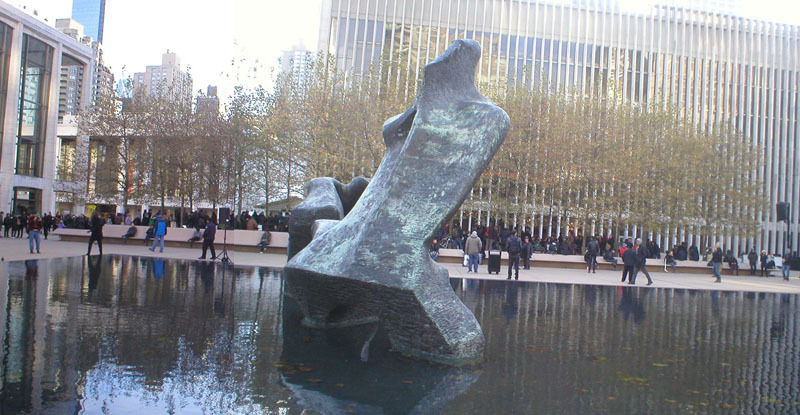 Pickwick was formed in 1950 in the US and later changed its name to Pickwick International when it opened branch offices in the U.K. and Europe. 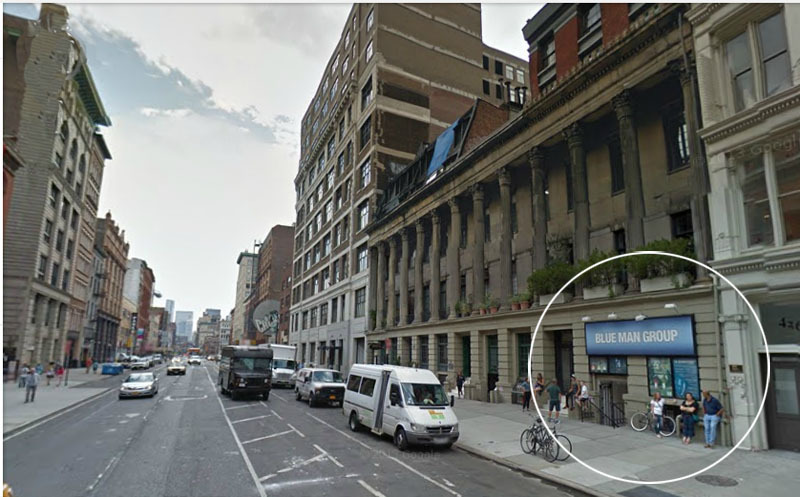 All buildings in Manhattan have BLOCK and LOT numbers for governmental reasons. 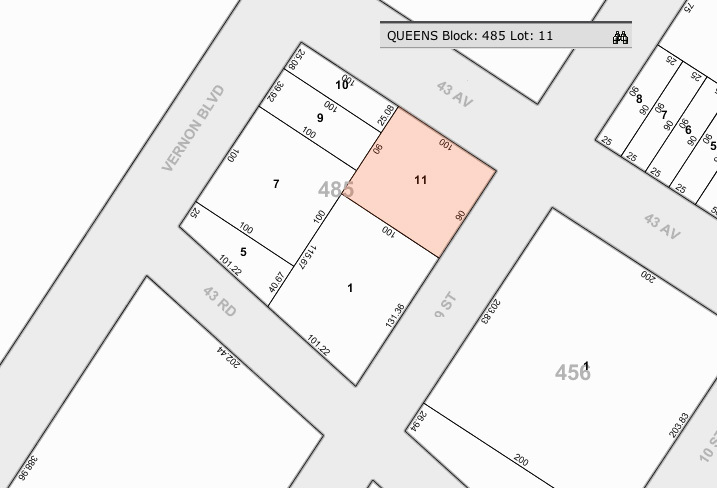 The block and lot for 8-16 43rd Ave in LIC (i.e. 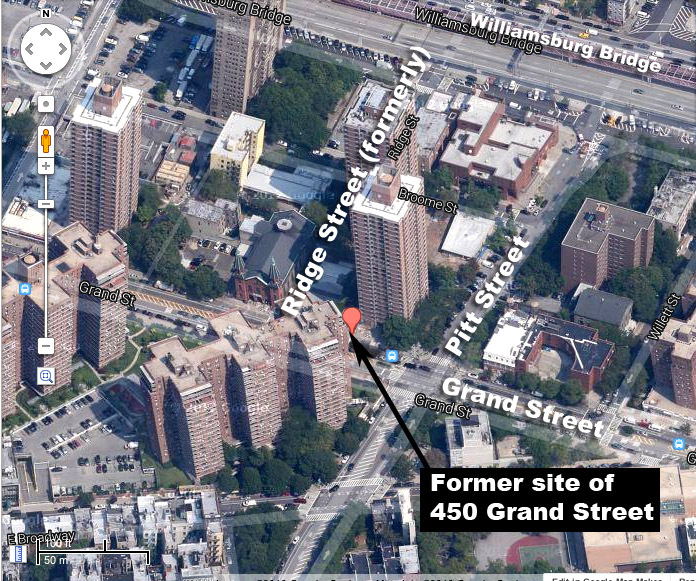 Long Island City - which is a part of Queens) was Block 485 and Lot 11. 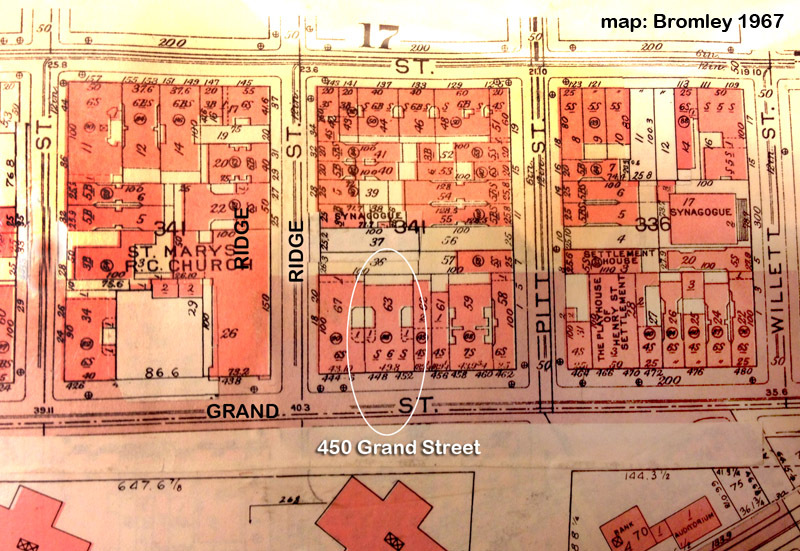 It's the most accurate way to identify buildings since addresses are less accurate, especially, for example, when a larger building is made of what used to be the lots of four smaller tenement buildings, each with a different address. 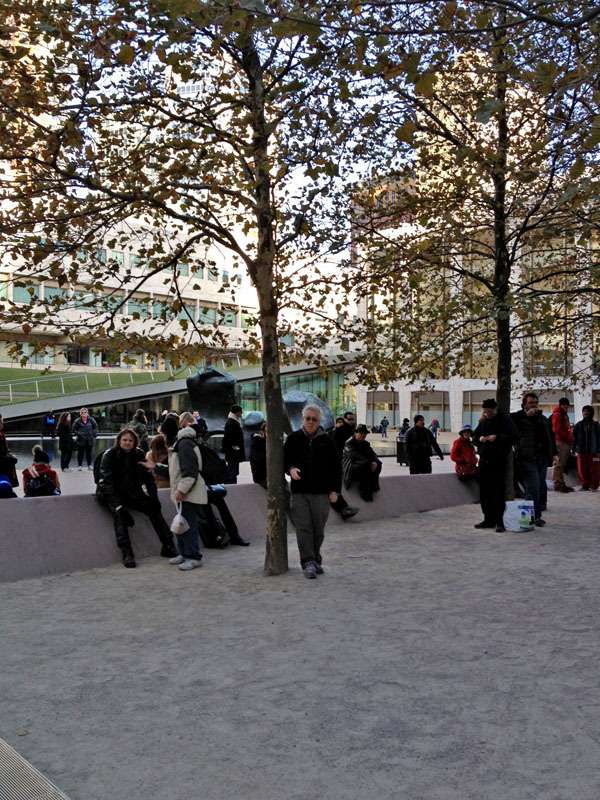 This is a present day picture of the Pickwick lot. 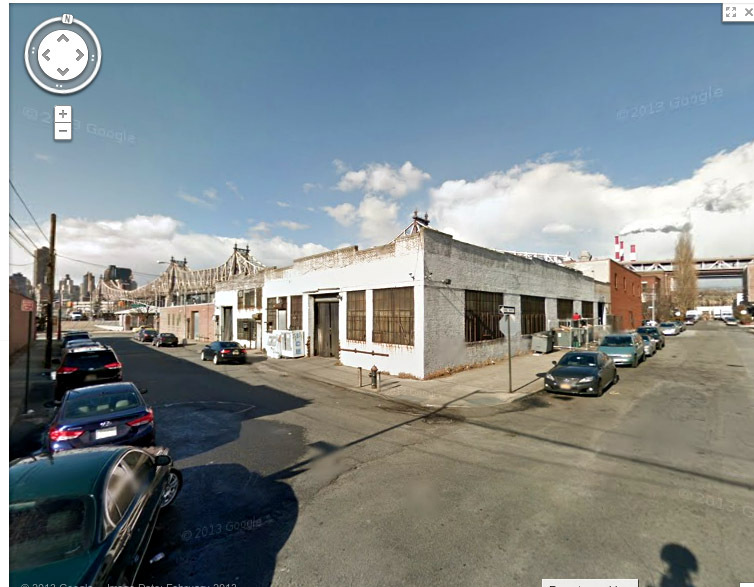 The white building that Lou played in has been replaced by a red building. 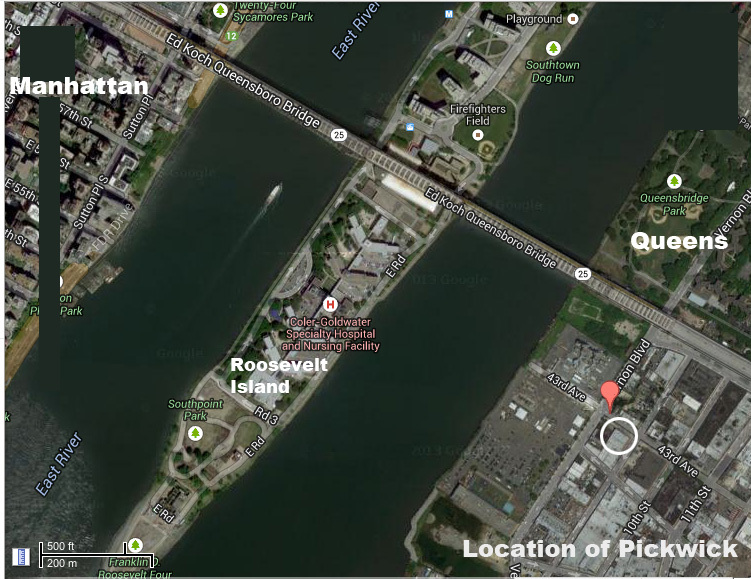 Here is where Pickwick was in relation to Manhattan. 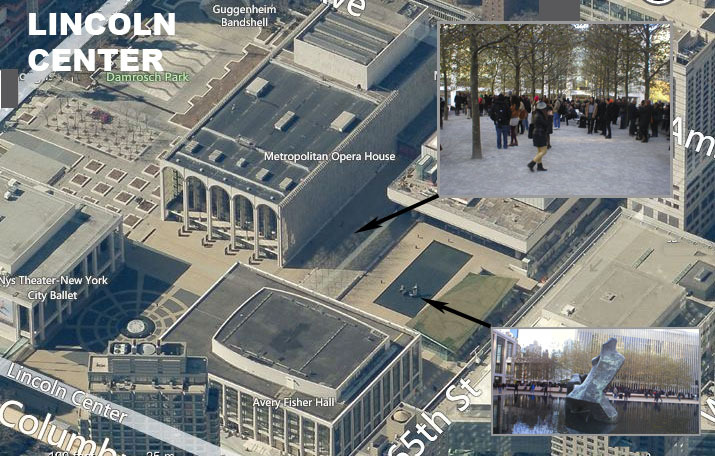 And a closer map. Lou probably drove here by car from his house further out in Long Island. 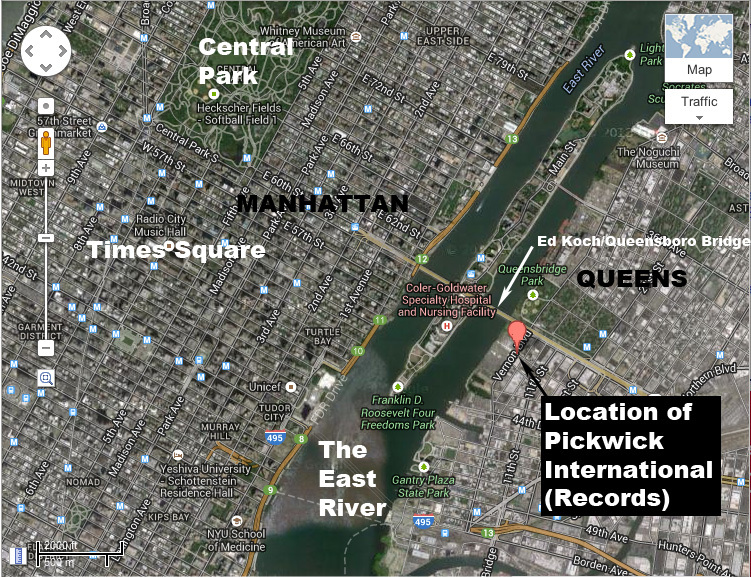 There is probably a subway within four or five blocks of Pickwick where one could get to Manhattan. 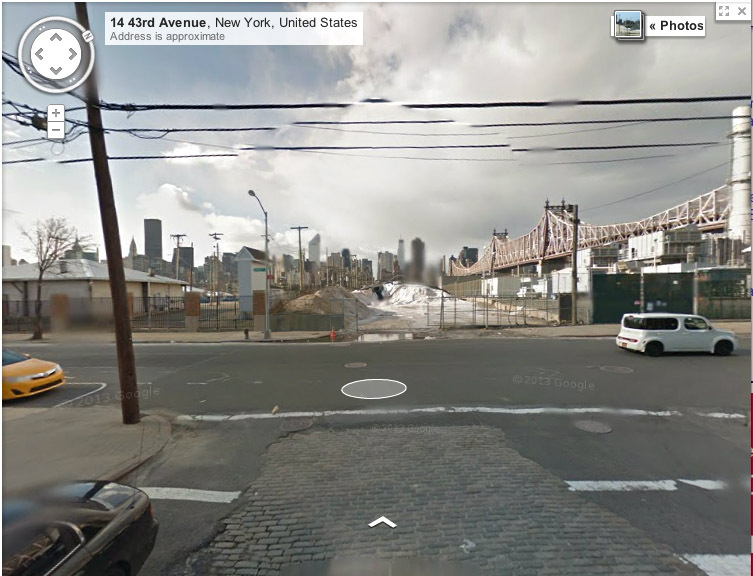 This is the view from Queens to midtown Manhattan if you stood outside Pickwick and looked west. That's the 59th Street Bridge on the right (i.e. from the Simon & Garfunkle song, "Feelin' Groovy"). 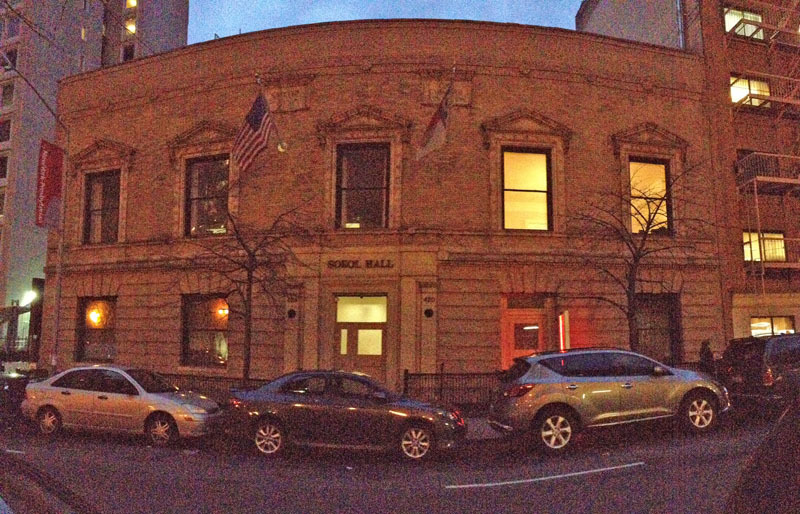 If you visit the site, this is the building next door, that looks like the old Pickwick. The old Pickwick building is the red-brick building down the street on the right. 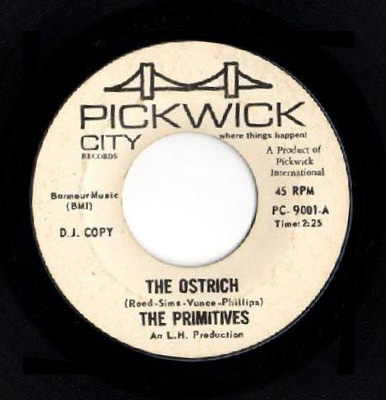 Lou's most noted song from this era was the novelty-dance tune he wrote called "The Ostrich." 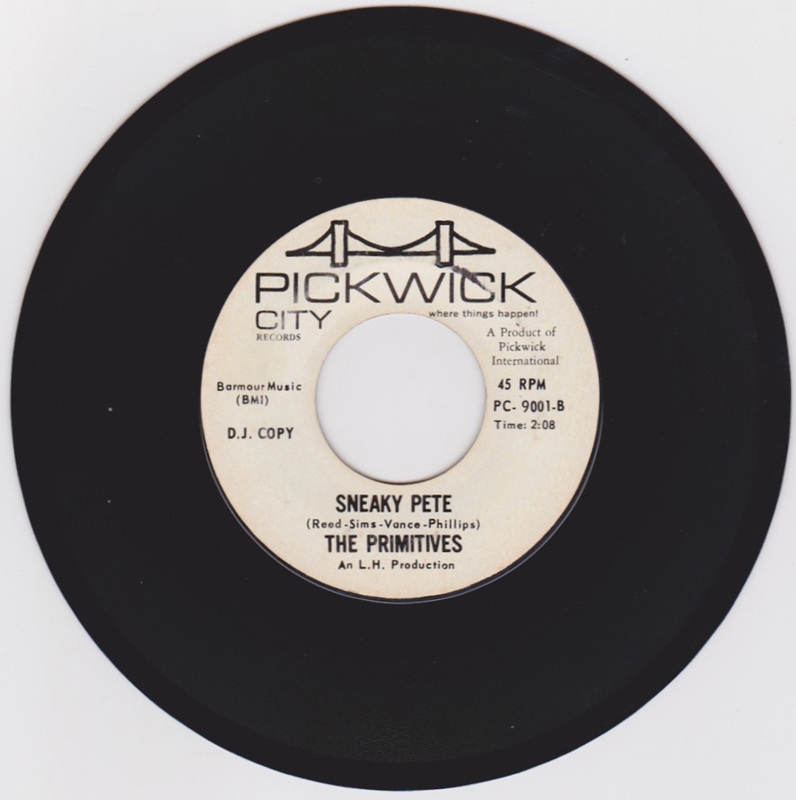 Once it started getting some airplay, in order to promote it, Pickwick hired some other musicians to go out on the road with Lou and play it at schools and clubs. 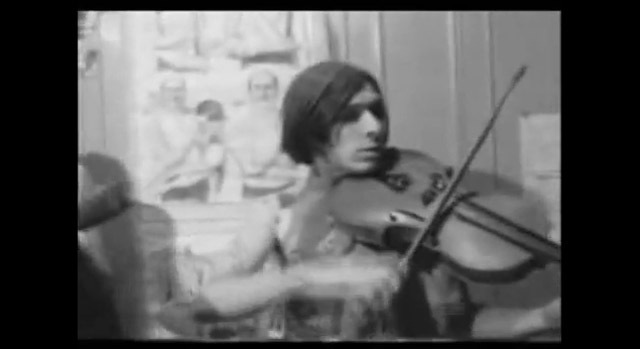 One of those musicians was John Cale. 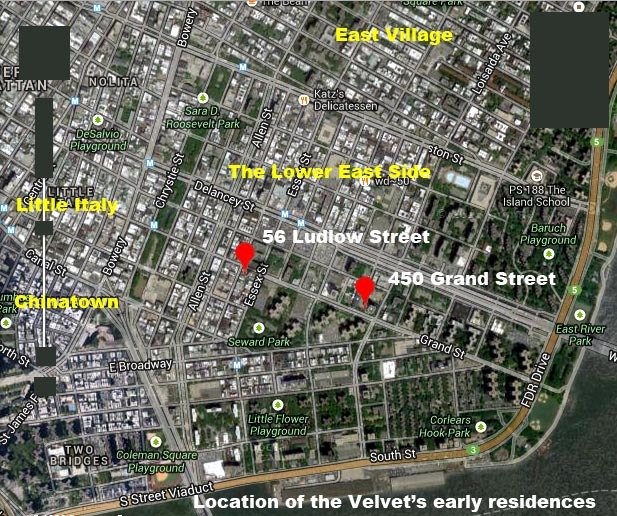 Thus began the makings of The Velvet Underground, as, when he gave up his job at Pickwick, Lou moved into John's apartment at 56 Ludlow Street across the river on the Lower East Side of Manhattan. 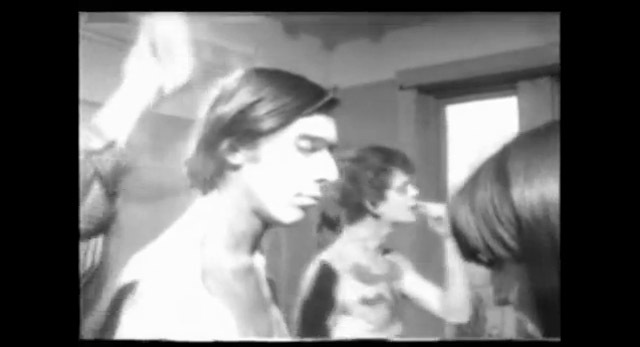 Here's a picture of The Primitives. 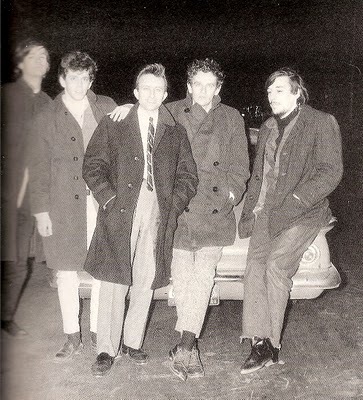 Lou is second from left and John is at far right. 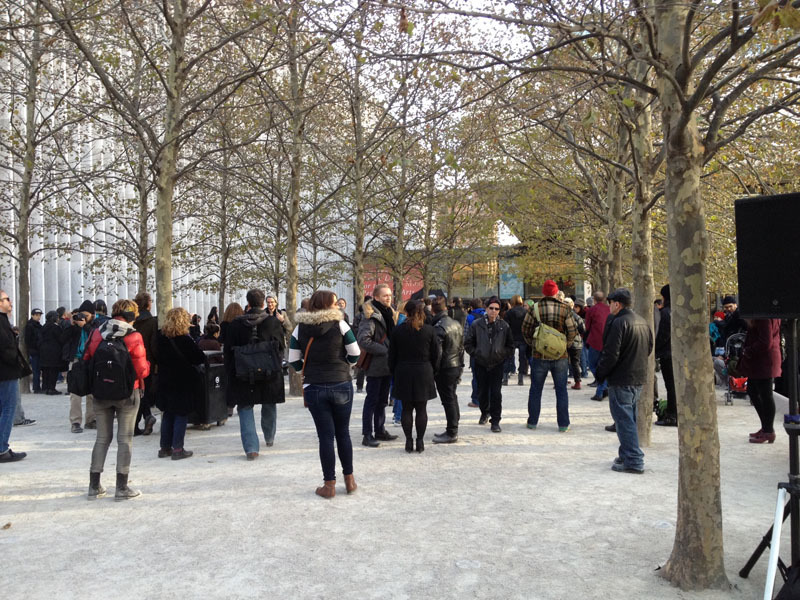 There are many videos of the event that capture the Lou Reed songs being played over very clear loudspeakers at the memorial at Lincoln Center on YouTube. 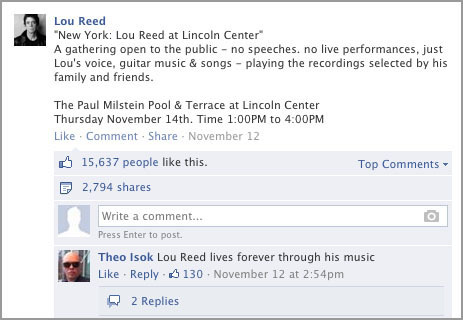 Search for "Lou Reed Memorial." 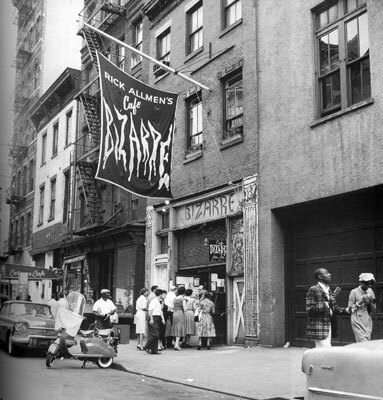 This is a photo of the Cafe Bizarre, a horror-themed bar on West Third Street that has now been replaced by an NYU Law School dorm. 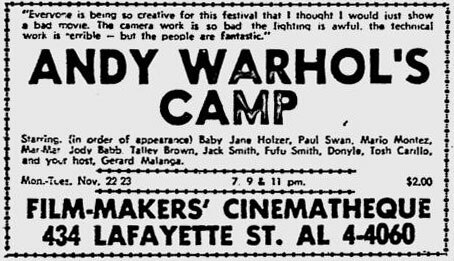 The Velvet Underground were playing here when Barbara Rubin, an avant-garde filmaker, brought Andy Warhol to see them in December 1965. 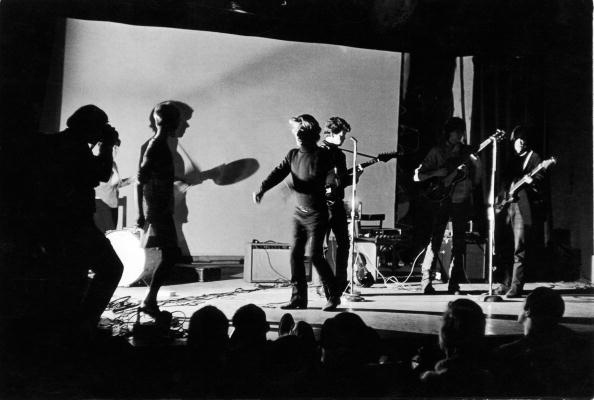 With Andy's backing, the group soon began playing along with films and light shows at a experiment theater called the Film-Maker's Cinematheque, then renting space in an old theater, where the Blue Man Group plays now. 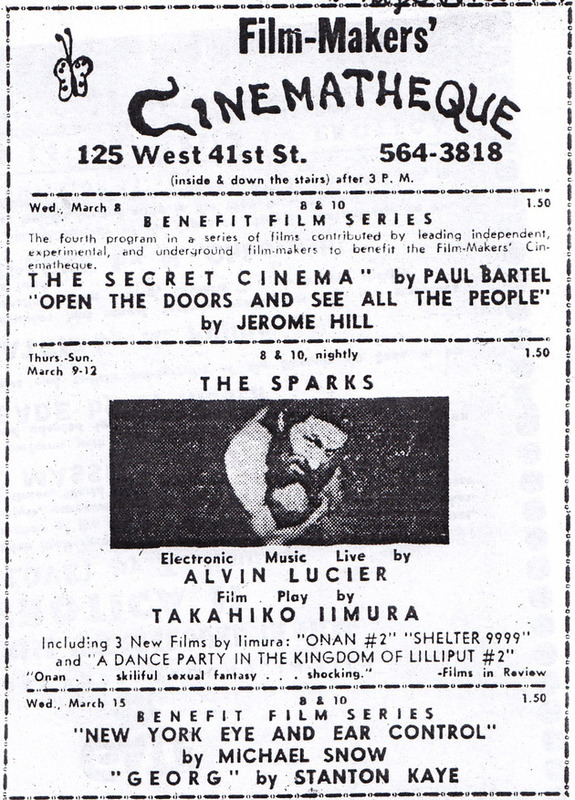 The Cinematheque, run by Jonas Mekas, went on to have several locations. 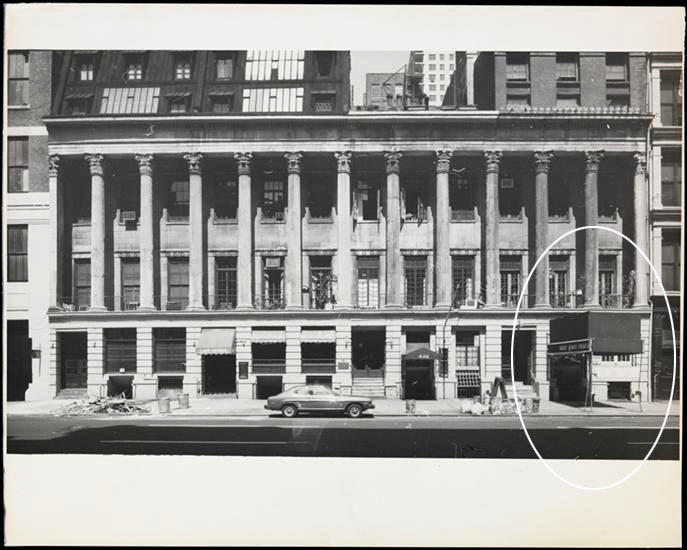 The one on Lafayette in the old Colonnade Row building, would have been where this circle is, in a picture from the 70's. 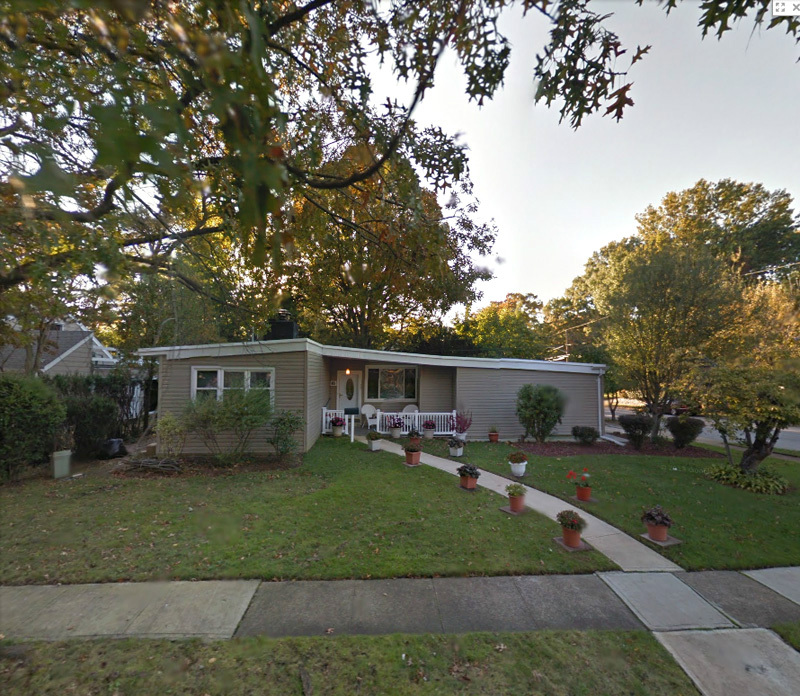 Here's a Google Street view of the location. ...and another shot from a different angle. 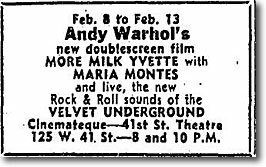 When the Film-Makers' Cinematheque moved uptown to 41st Street near Times Square, Warhol and the Velvets moved with it. 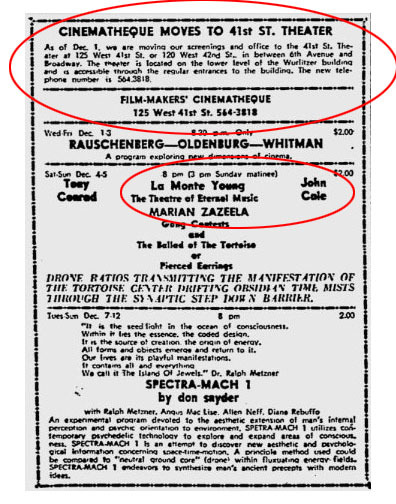 Note in this ad, that John Cale is playing with La Monte Young, with whom he had studied "drone" based music. 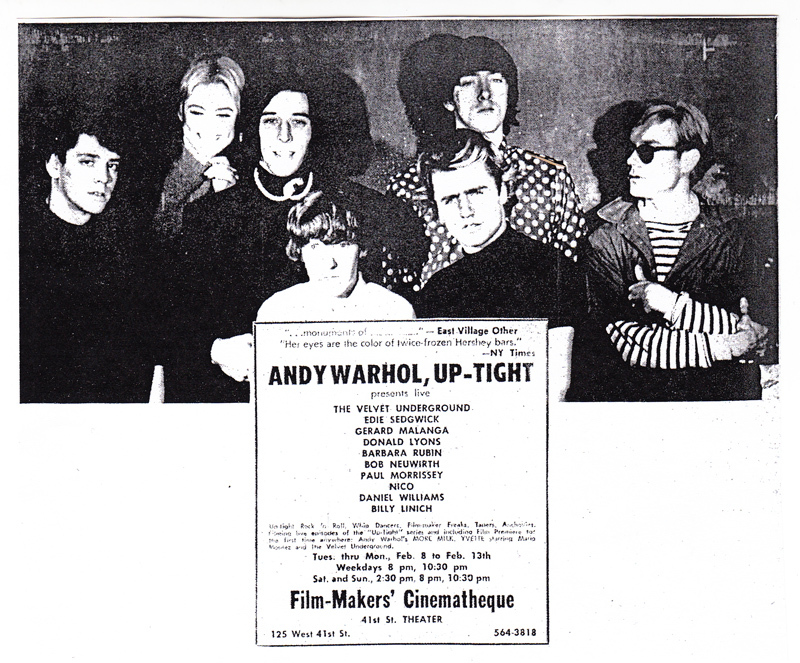 Here's an ad for an early "Andy Warhol's Up-Tight" show at the 41st Street Cinematheque with music by the Velvet Underground and dancing by Gerald Malanga and Edie Sedgewick to accompany side-by-side showing of Andy Warhol's films. 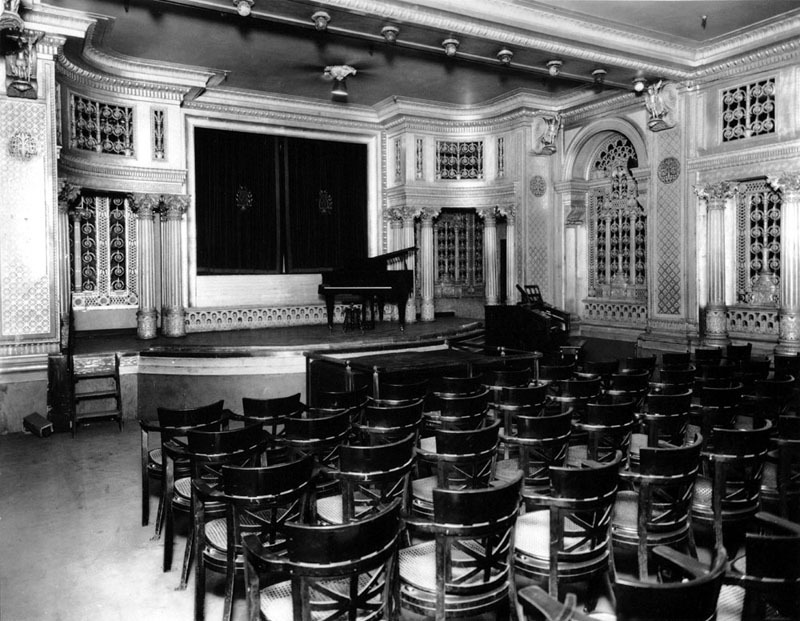 The Cinematheque theater was in the basement of the Wurlitzer building and had been used by the Wurlitzer company to present their music instruments, which ranged from brass instruments to organs. 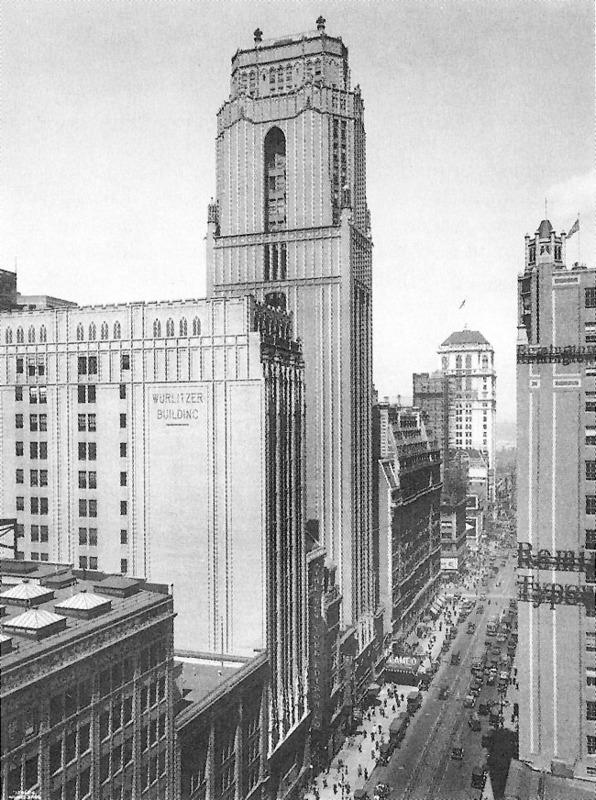 You can see the Wurlitzer sign on the side of the building. Times Square is a block away from us and a few blocks to the right. 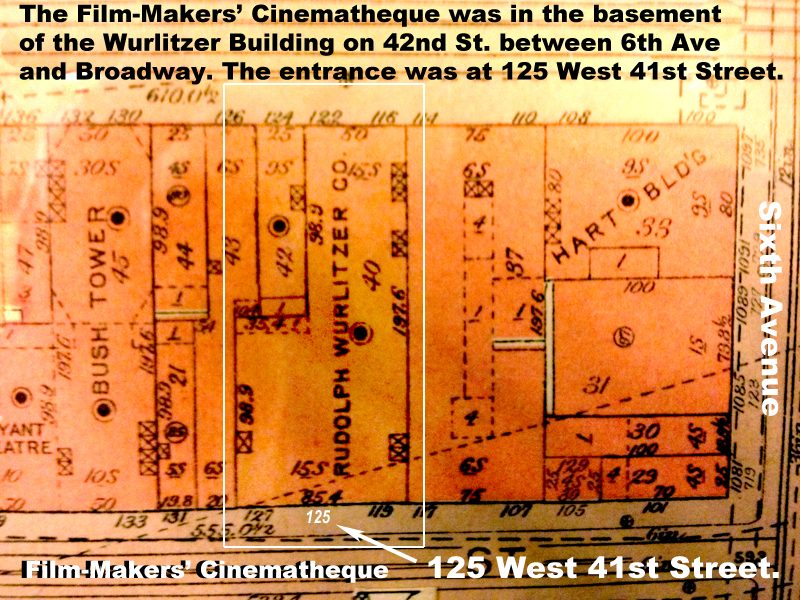 The entrance to the theater was from 41st Street, then later a 42nd Street entrance was added. 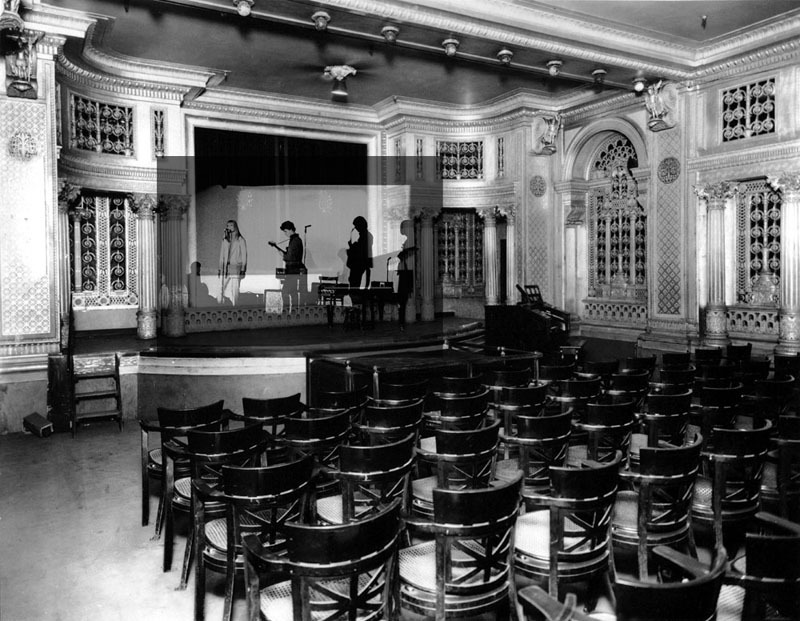 Here's what the theater looked like. 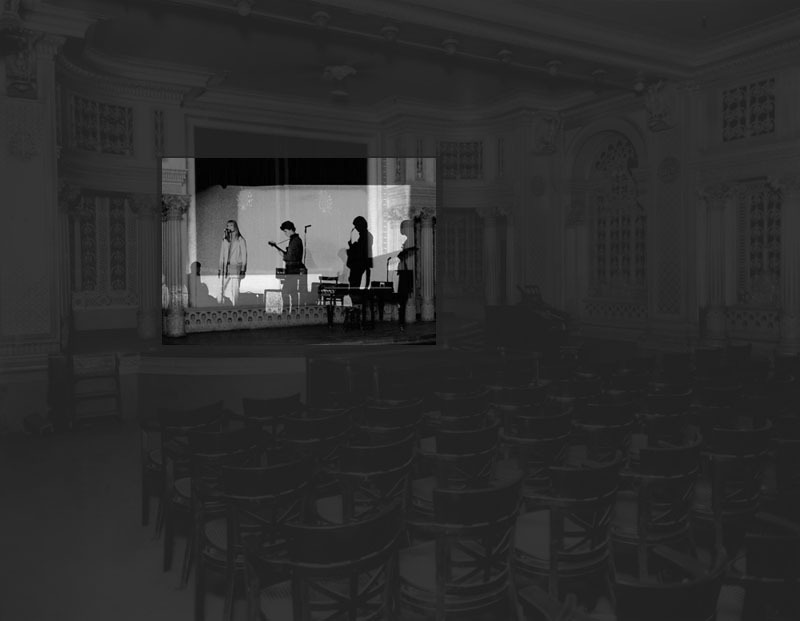 Just for fun, I'll do a darkened version, as if we were there. Here's a shot of the crowd. 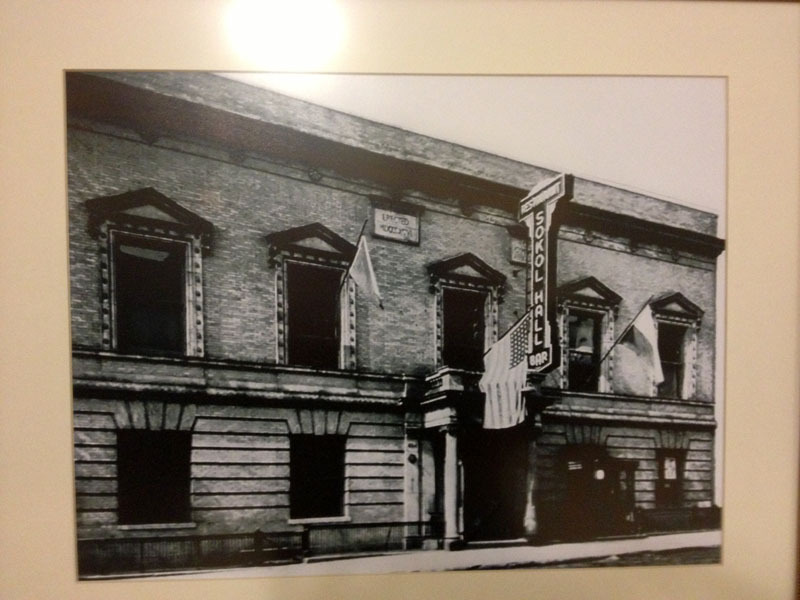 Note the same "rounded arch" architectural detail as in the theater shots above. Remember that when they played Andy was showing movies on them. 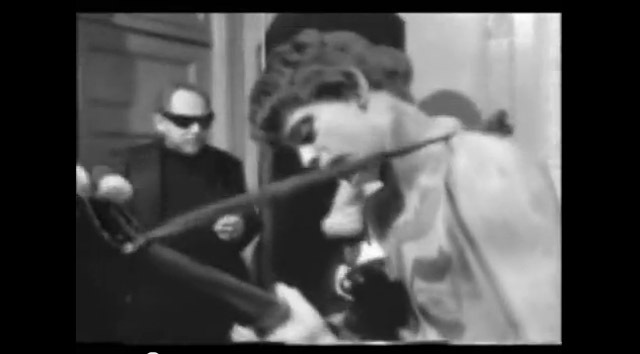 That's part of the reason why the band sometimes wore sunglasses while they played. 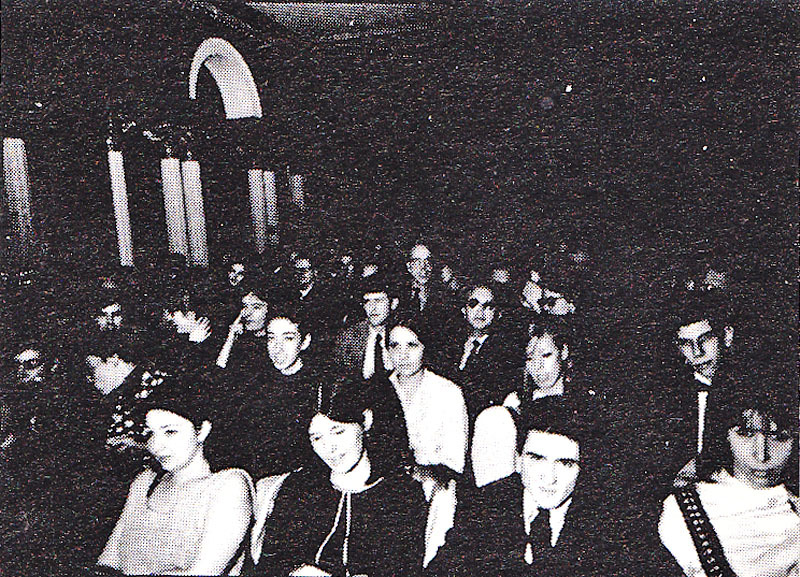 Here are two more photos from the Cinematheque taken by Fred W. McDarrah on February 8th, 1966. This last shot is just here to illustrate the Cinematheque's French-type logo. 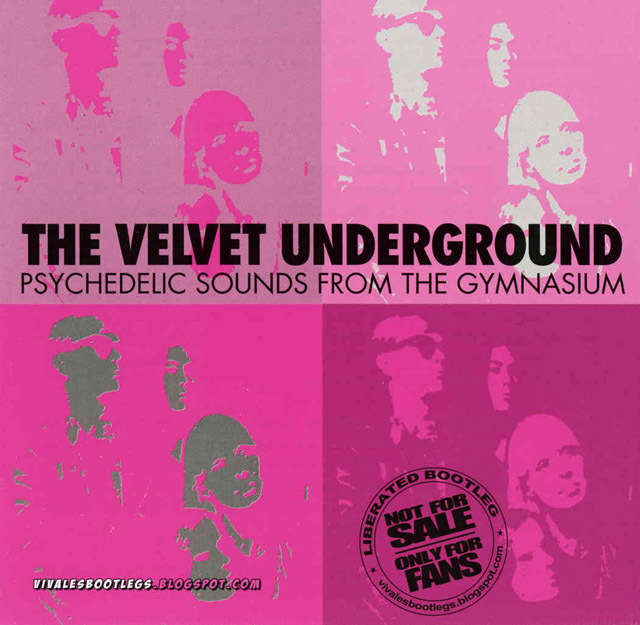 Peter Tiller, a Lou Reed/Velvets fan and Popspots reader, sent in this photo and asked if I could locate it. The two clues that stuck out most we the number "53" over Lou's head in the doorway and the name of the photographer on the bottom right, which though the type was small, I made out to read - Anton Perich. First, I went to Google Images to see if there were similar photos of Lou by Anton Perich, taken the same day, that might have some clues. 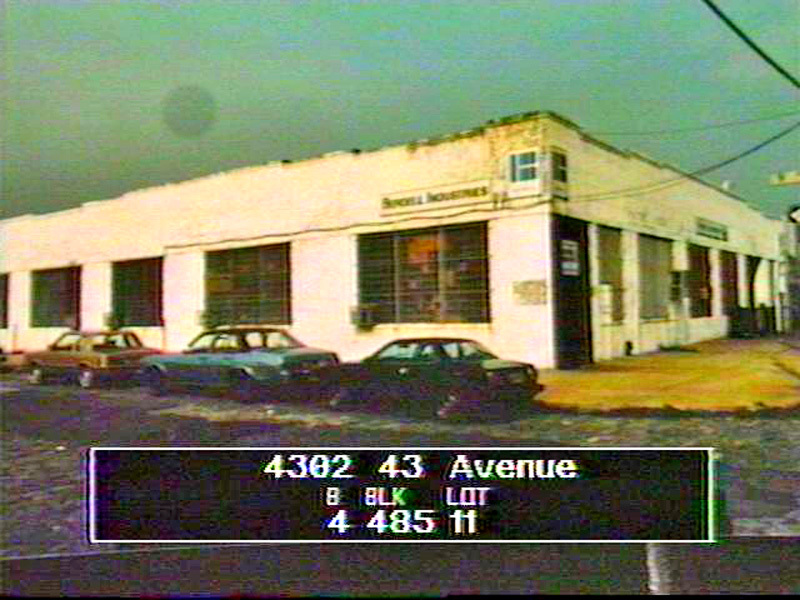 But that came up empty, though there were many photos by Anton of Max's Kansas City and of Robert Mapplethorp near the Chelsea hotel, so I knew I had the photographer right at least. 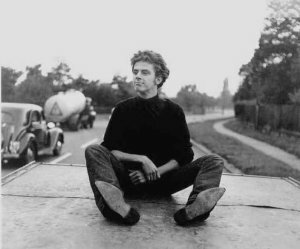 Next, I went to "regular" Google and searched for these five words together, as marked, ("Lou Reed" "Greenwich Village" 53) to see what would pop up. 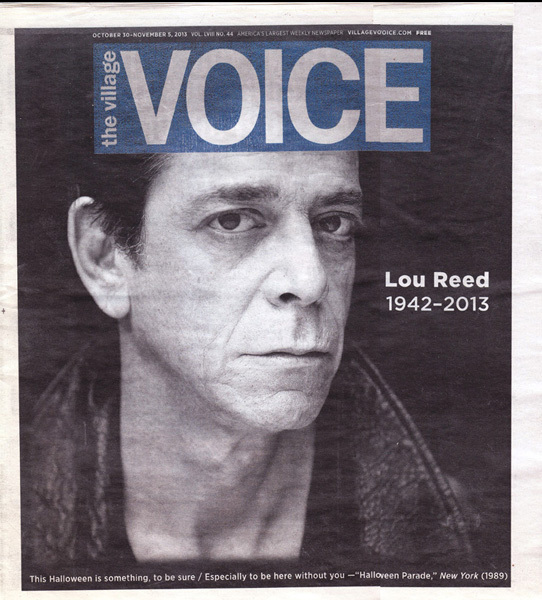 Sure enough, the sixth result down, from an article in New York Magazine said "Lou Reed 53 Christopher Street." 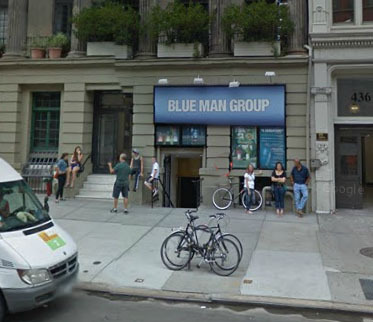 So I typed that into Google Maps, and landed on the street in Google Street View. And these was the door. Bingo! 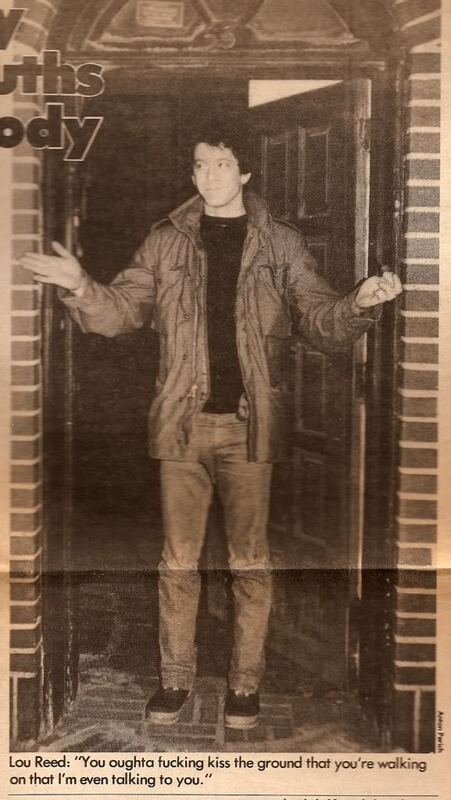 Lou was standing in the doorway to his upstairs apartment. I had read that Lou lived over the Stonewall in the 70's where he could practice without the neighbors complaining of amplified guitar. The Stonewall Inn (often just called The Stonewall), a National Landmark, is a long-time celebrated gay tavern, also with an address of 53 Christopher Street, and was the site of the famous Stonewall Riots of 1969, one of the milestone events in the gay rights movement, where on June 28th, 1969, and for several nights after that, gays fought back against raids of the bar by police, and other injustices. 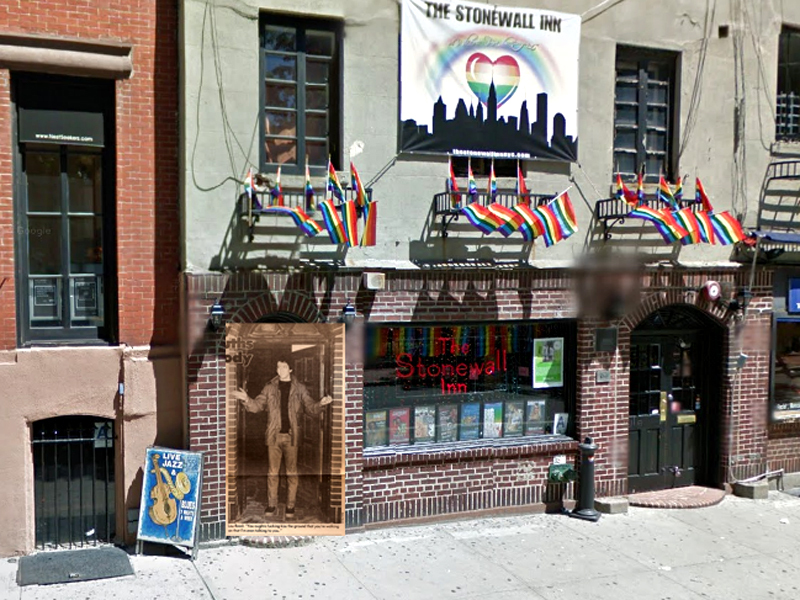 (For more, see Stonewall Inn at Wikipedia). So I went down the see the Village to check it out. Lou's door looked just like it did in the Google shot. And the brickwork all matched. 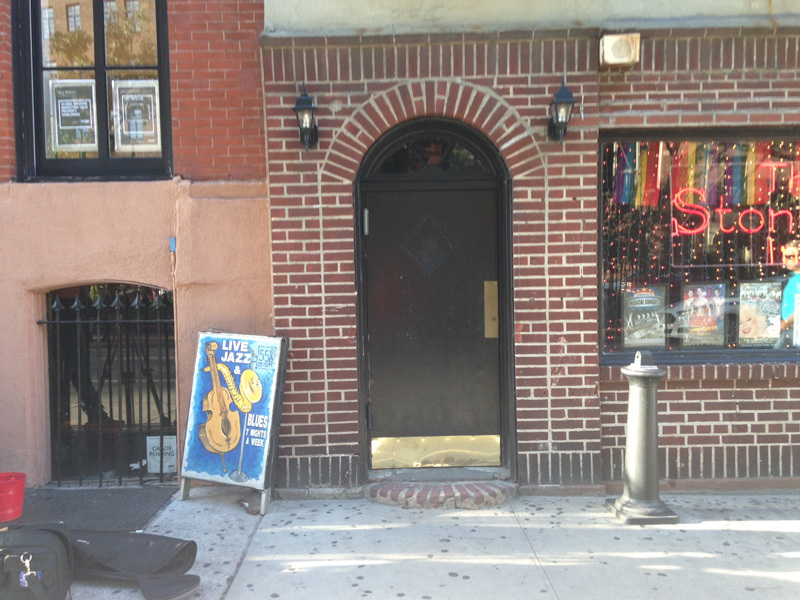 Next door, to the left, is a famous basement jazz and blues bar called The 55 Bar (because it's at 55 Christopher Street). And once again, I put Lou into it. 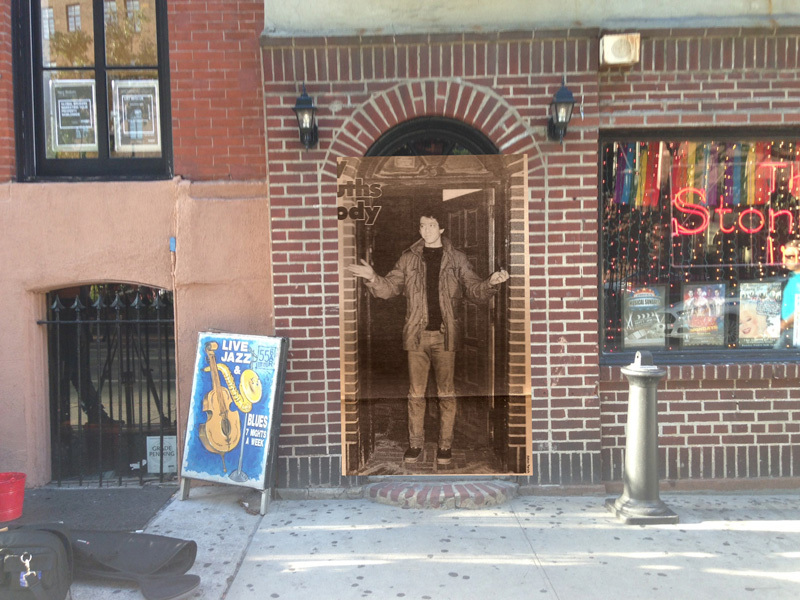 And, so you can get a feel for the area, here's a panoramic shot, from Sheridan Square to the Stonewall, again with Lou in the door. 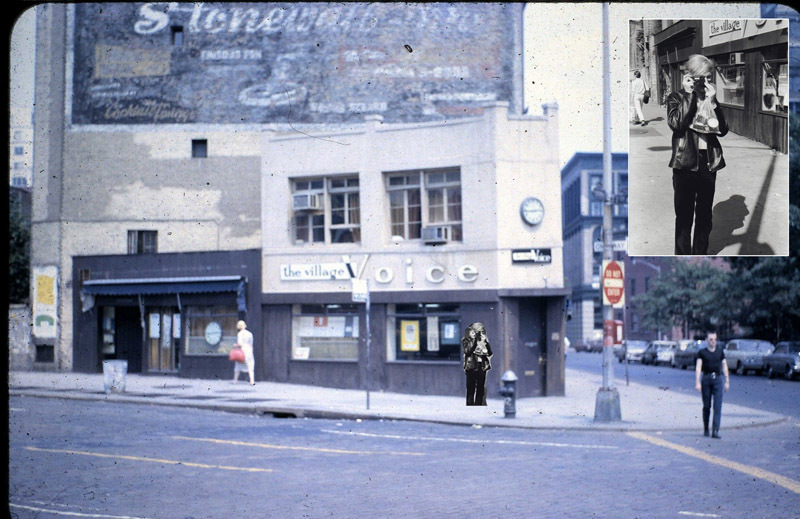 And here's a little bonus PopSpot: the early offices of the Village Voice used to be located the corner building at the far end of the block on the right, at 22 Christopher Street. 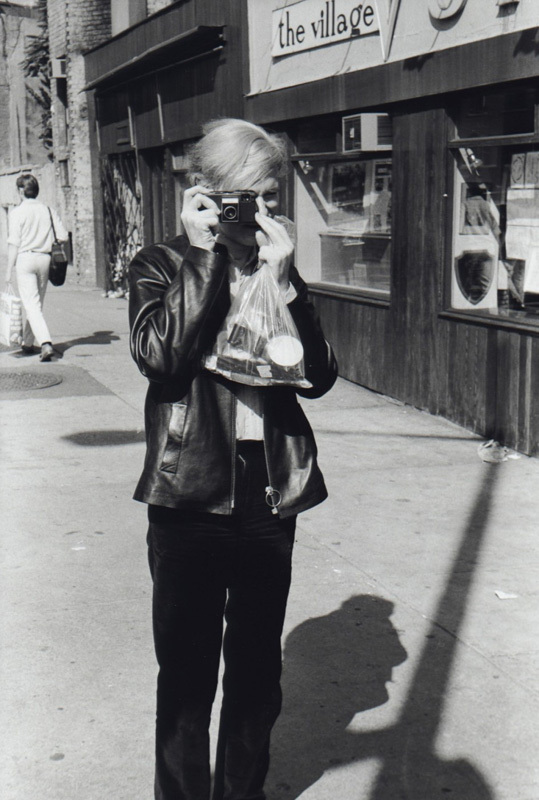 Here's a picture of Andy Warhol taking a picture in front of it by Fred W. McDarrah. And here's a little historical PopSpot of the scene. (I think I found the photo of Andy on a blog called "Chicken Fat Blog." - Thanks.) 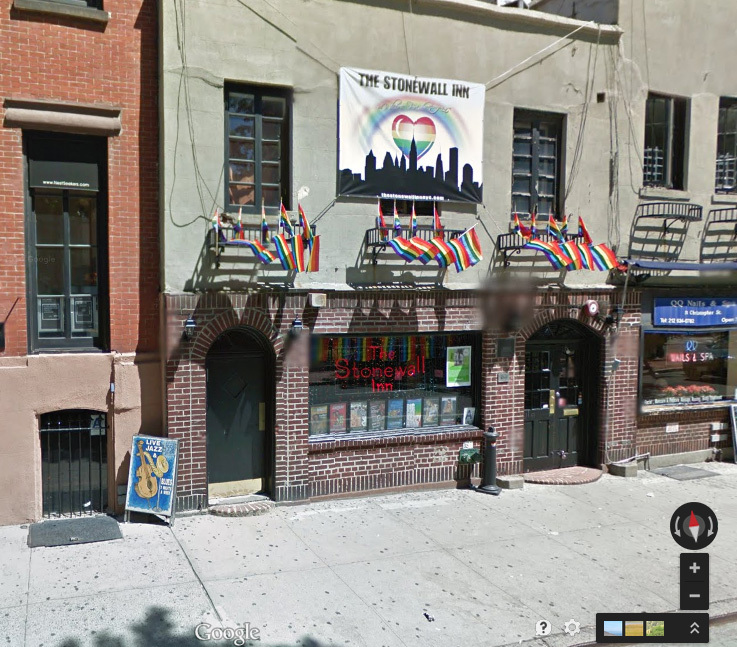 Note also the big ad for the Stonewall Inn above the offices in the background. 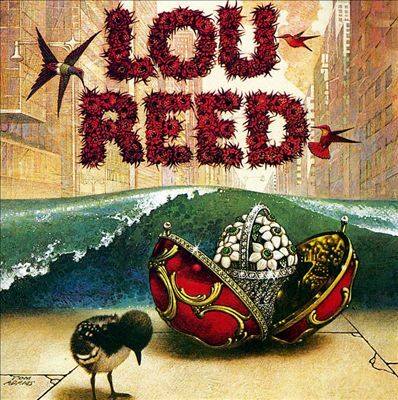 This is the cover of Lou Reed, Lou's first solo record. See the little bird on the left? This is the photo the bird came from. It's a photo by Fritz Goro, available at many poster stores, taken on a beach near the Great Barrier Reef in Australia in 1950. The small bird is often referred to as a kiwi, but it is the "chicken" (baby bird) of a tern. Some refer to it a the "sooty tern chick," with "sooty" having the meaning of a soot-covered (ash-colored) bird. 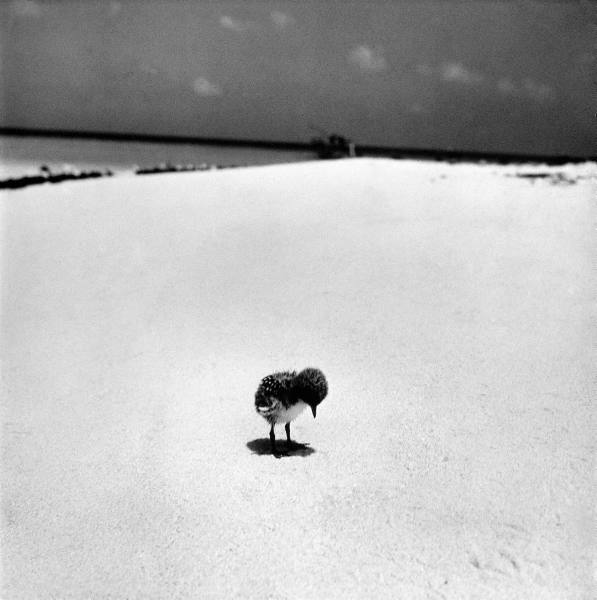 The title of the Goro photo is: "Chick on Beach Waits for Parents to Return From Their Daily Hunting, on the Great Barrier Reef."